Guided factory tours offer a unique insight into the world of Wedgwood ceramics. Watch the skilled workers as they create iconic Jasper pieces and fine bone china tableware. 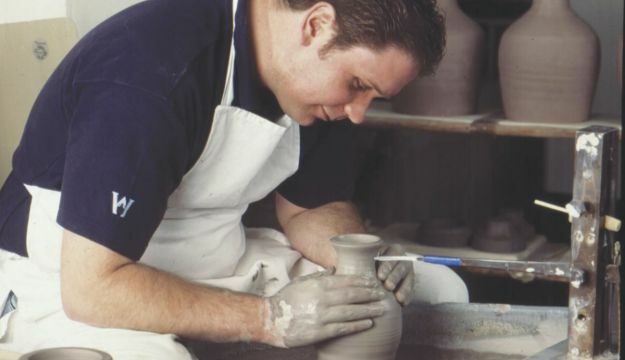 Their Master Ceramic Experience provides a great opportunity for visitors to work with a master potter and practice the skills of ceramic making for themselves. The Wedgwood Museum offers a self-guided tour through more than 6,000 artefacts that shaped Wedgwood and the ceramic industry in Stoke-on-Trent. The food experience offers a range of home-cooked speciality main courses, light lunches or afternoon tea all served on Wedgwood’s finest bone china. Groups can take advantage of individual menus, waitress served at their own reserved table. In the Shop and Factory Outlet you will find the world’s largest selection of tabletop, crystal and gift products by all our brands including Wedgwood, Waterford Crystal, Royal Albert and Royal Doulton. The friendly and knowledgeable team are looking forward to welcoming you and will assist in any way possible to ensure that you have great day out at Wedgwood.